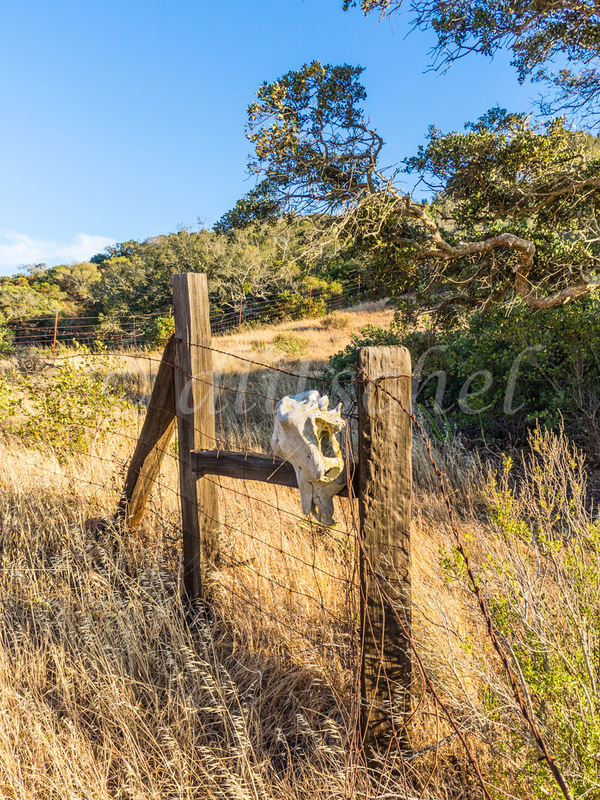 Cow Skull hanging on barbed wire fence, Santa Cruz Island, California. A dried cow\'s skull hangs from a barb wire fence on Santa Cruz Island. Santa Cruz Island is the largest of the eight islands in the Channel Islands of California.